Cunningham’s manufacturing facilities in West Palm Beach were not equipped for building a full run of production cars, even the relatively small one required for Le Mans. 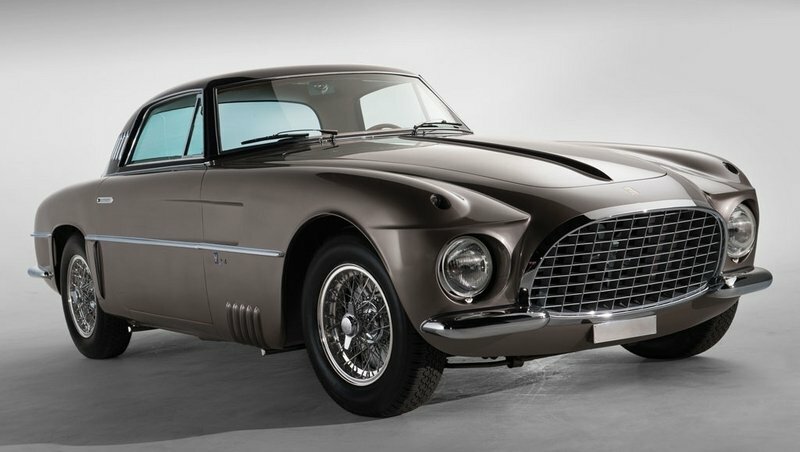 So Cunningham went to Vignale in Italy to build the bodies from a design by Giovanni Michelotti. 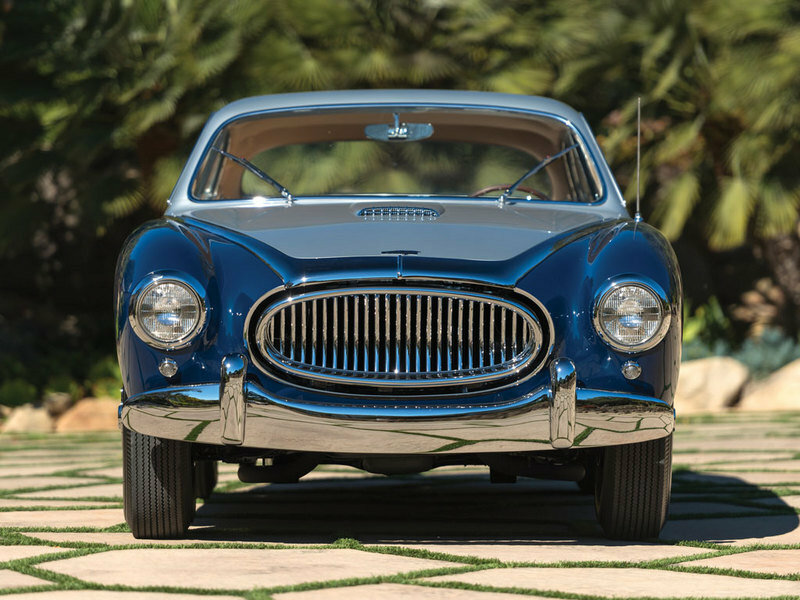 Michelotti had also designed the Ferrari 212, and the C3 body took quite a lot from this design. 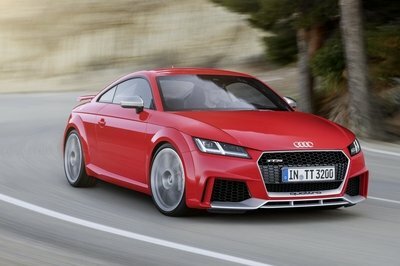 But that obviously isn’t a bad thing, and the end result is a fantastic looking car. This particular car is the only one known to have this sort of tri-color paint, which is original to the car. 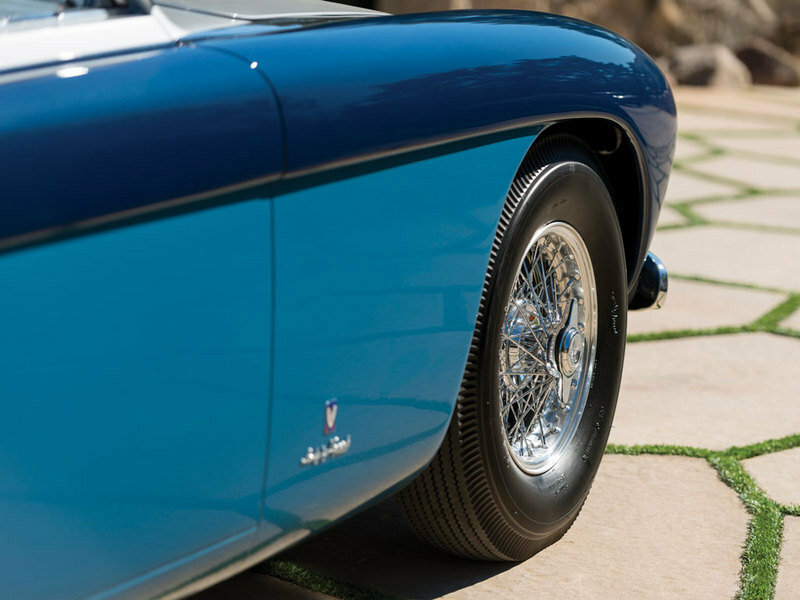 It took Vignale two months to complete each body, and the craftsmanship that went into them really comes through. The words “low volume homologation special” are not ones that typically conjure images of well appointed interiors. Which is why the interior of the C3 will probably come as a pleasant surprise. 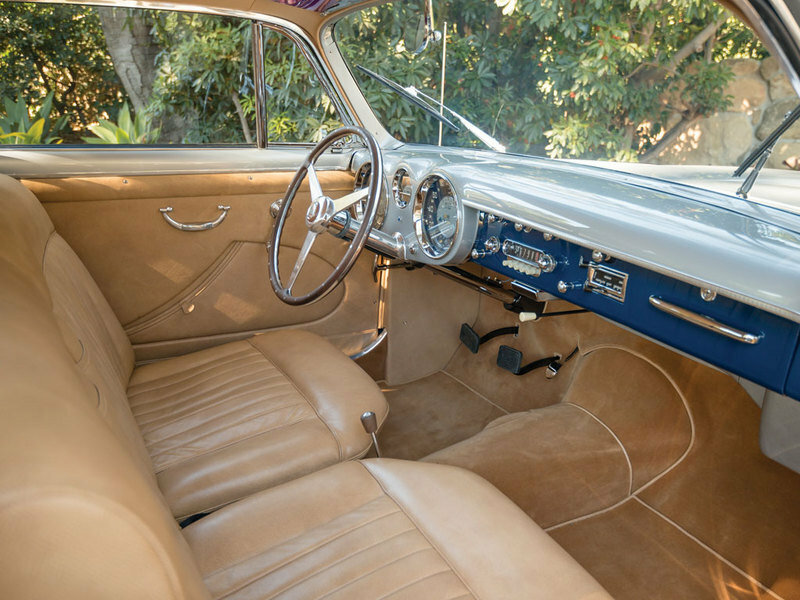 It can compete easily with any of the finer European sports car interiors of the day, and indeed, some of those Ferrari 212 styling influences from the exterior can also be found on the interior, particularly in the oversized gauge cluster. The seats are finished in fine leather, and take a look behind them at the luggage area and you’ll see bespoke luggage finished in the same leather as the seats. But just like the car itself, you’ll find American mechanical workings behind this. The big example being the Ford radio made to fit perfectly with the very Italian-looking dash. The internal of the 5.4-liter Firepower Hemi V-8 remained unchanged, but Cunningham fabricated a new intake manifold to accommodate the four Zenith down-draft carburetors that the engine now breathed through. 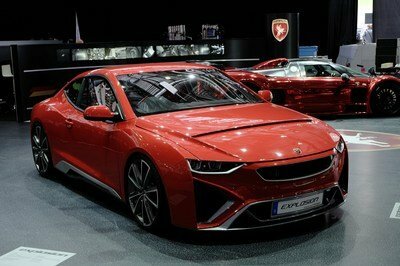 There are a lot of examples of small European sports cars getting big American V-8 engines, mostly from at least a decade after the C3 was built. The only thing European about the C3 was the coachwork, but it still could have served as an important inspiration. The engine in the C3 was provided by Chrysler, as was the semi-automatic transmission. Chrysler worked with Cunningham, and even provided the engines at a discount, but Cunningham still ended up making changes. 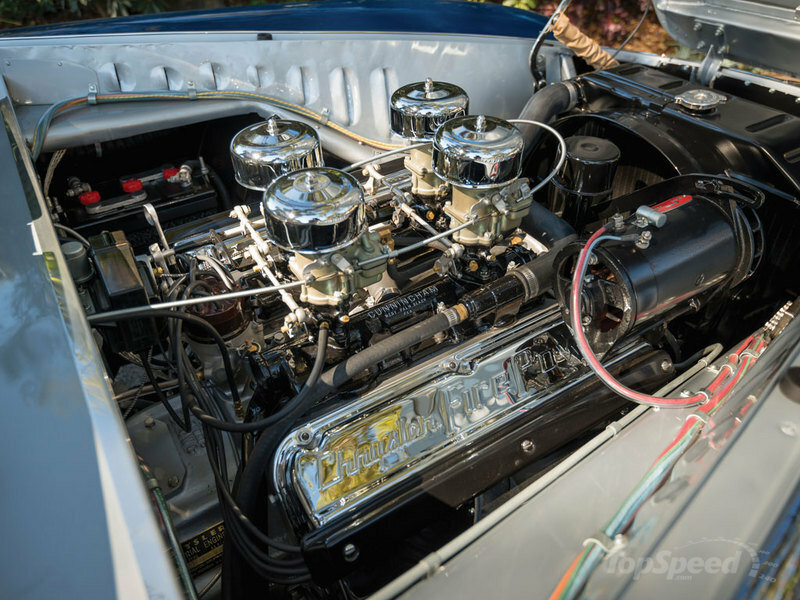 The internal of the 5.4-liter Firepower Hemi V-8 remained unchanged, but Cunningham fabricated a new intake manifold to accommodate the four Zenith down-draft carburetors that the engine now breathed through. It was good for 220 horsepower, a bit more than most of the Le Mans racers at the time, and generally better when it came to the low-end grunt needed to power out of corners and the reliability needed to finish an endurance race. That said, the early ’50s were one of the most competitive eras in the history of the race, with Ferrari, Mercedes-Benz and Jaguar battling it out on the top. For newcomer, no matter how good a newcomer, taking on all three of these titans would be a monumental task. So even though Cunningham never took an overall win at Le Mans, the third place wins in 1953 and 1954 should still be considered a massive achievement, as in another era those could have easily been overall wins. The C3 was the only car that Cunningham ever intended to homologate, and therefore the only one ever sold to the public. Cunningham was supposed to build 25 units of the car in order to be allowed to race at Le Mans, but he was allowed to race while they were still being built. Production was extremely slow, especially on the Italian side of things, and having the chassis and body manufactured on two different continents surely didn’t help anything. 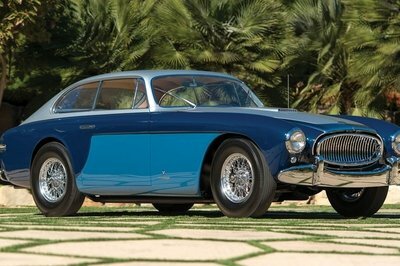 From a collector’s perspective, this is just fine, Vignale took the time to get the details right and the end result is incredible. But that does mean that even the modest goal of 25 was never actually reached, and just 19 were actually produced. 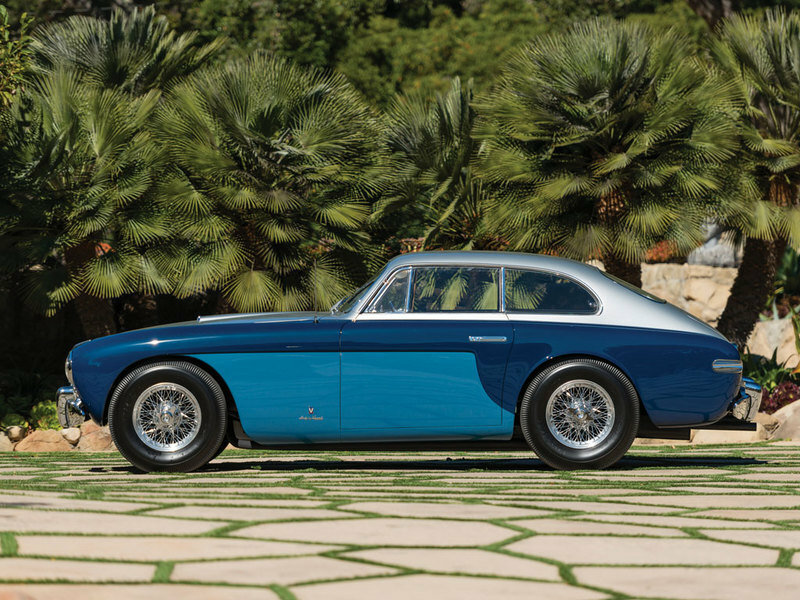 Al of that adds up to a seriously valuable collector’s car though, and RM Auctions is expecting this recently restored example to go for $900,000 to $1.1 million. The C3 might have been styled to look a lot like the 212, but by 1953, the first of the road-going 250 models were coming out with an evolved version of that design. These didn’t use the Colombo engine found in the other 250s, but were instead powered by a detuned version of Ferrari’s F1 engine that produced nearly identical power to the C3. Of course, it’s pretty much just as rare as well, so it possibly wasn’t the most realistic alternative being considered by anyone that couldn’t find a C3 to buy. 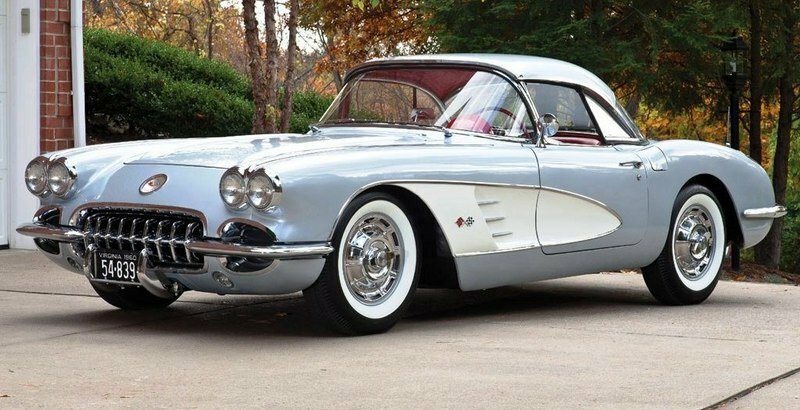 The C1 Corvette was launched in 1953 and was initially very much the same sort of idea as the Cunningham C3. It was an American-built car that was very much in the style of the European sports cars of the day. 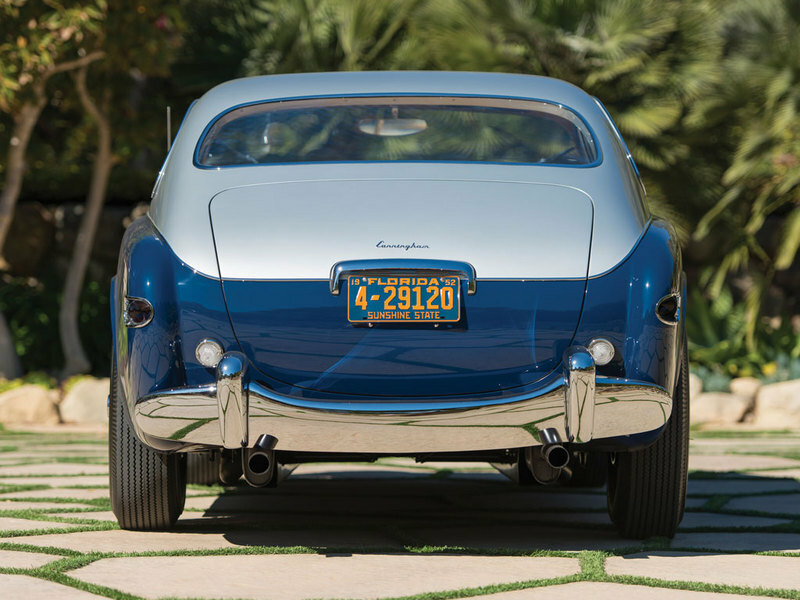 The fiberglass body made the car light, but the inline-6 engine that was the only one offered for the first two years was seriously lacking in power when compared to the Cunningham car. The design and the interior aren’t quite up to the level that Vignale bestowed on the C3 either. But a Corvette cost a third of what the C3 cost, and on top of that you could actually buy one. Those are pretty important factors. 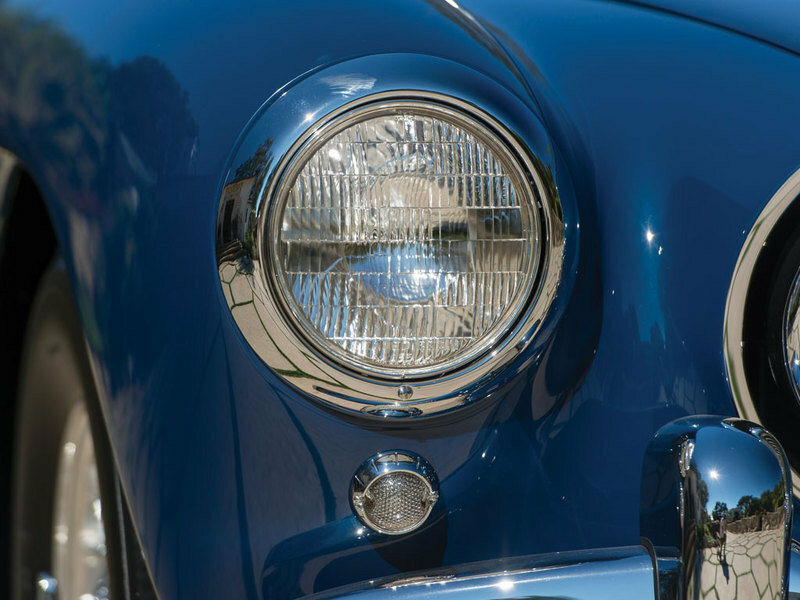 There have been quite a few cars over the years that have blended American power with Italian styling, from the Cadillac Ghia coupes to Iso and De Tomaso, and they have tended to be really excellent machines. But the C3 is on a tier above even those. 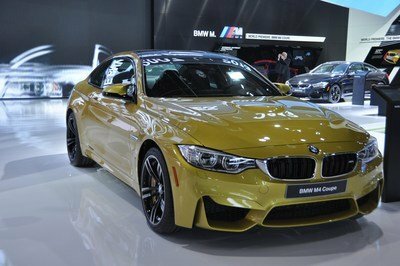 It has a full-on race car chassis, a tuned engine and a spectacular interior. It’s rarity and the fact that it was the only “production” car the company ever made only add to its mystique. 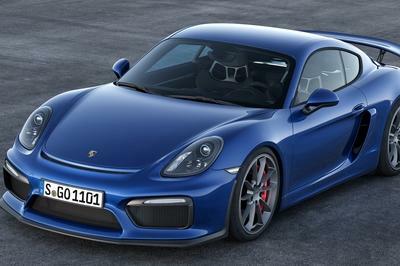 It is a car that deserves to be considerably more famous.